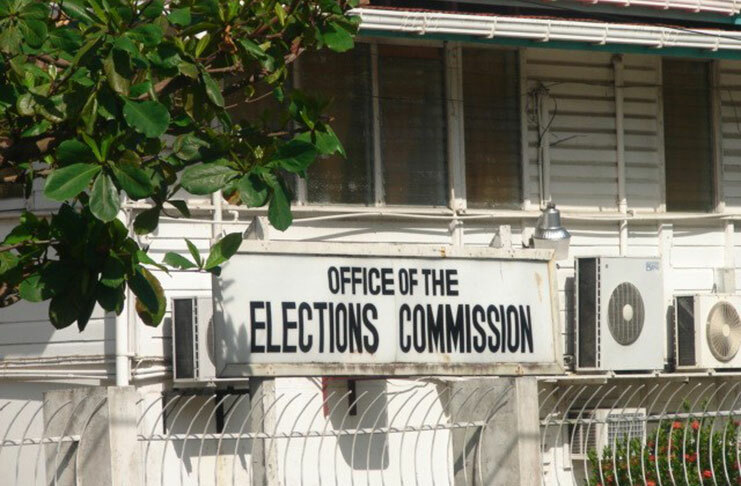 Chairman of the Guyana Elections Commission (GECOM) Justice (Ret’d) James Patterson has informed President David Granger that general elections can be held by November 2019 after the completion of house to house registration. Justice Patterson also told the President , in a letter dated March 19, 2019 , that the exercise would cost the commission approximately G$3.5B to be undertaken. On Tuesday, Opposition-appointed Commissioners walked out of another meeting at GECOM for the fifth consecutive time after Patterson indicated that the agenda would be a continuation of the previous meeting. “[Bibi] Shadick and [Robeson]Benn said that they would not participate in a continuation since a continuation then meant that the motion I had put to the floor [would be discussed]. They further then said that the letter that the President was sent is more reason why they would not participate in the meeting,” Commissioner Vincent Alexander said coming out of the meeting on Tuesday. Last Wednesday, President Granger urged the commission to submit its work programme, including the finances needed for same, as soon as possible. In his missive to Justice Patterson last week, the President noted that it is essential that he is informed of the Commission’s readiness to deliver credible elections in Guyana. “I urge you to present your plans, programmes and financial needs which will guide my proclamation of a suitable date for elections,” the Head of State said in his correspondence to Justice Patterson. 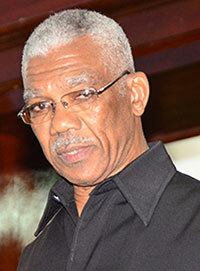 President Granger has met twice with Opposition Leader , Bharrat Jagdeo since the passage of the ‘no confidence motion’ which was voted in the National Assembly last December. 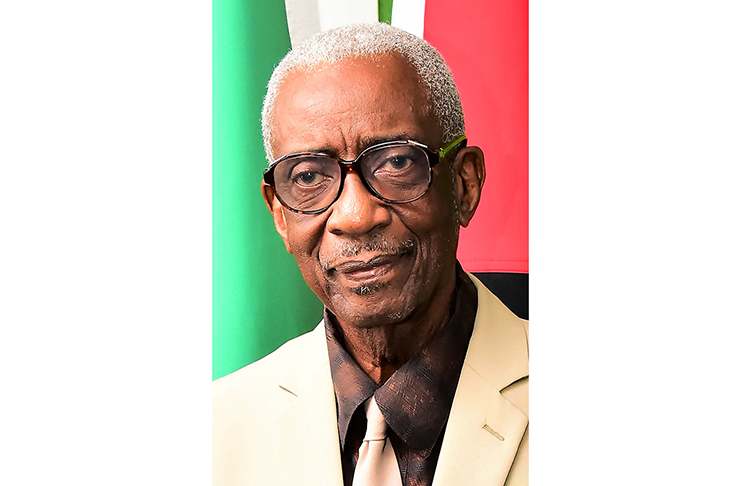 President Granger has emphasised that the Government of Guyana will not interfere or intrude in the work of the Commission. Two weeks ago the President met with the Commission to discuss issues related to the hosting of General and Regional Elections. THE KEY WORD IS POSSIBLE, but if not possible then WHAT! Until there is a new swearing in (post elections) the existing president remains. Illegally. Granger is officially a private citizen squatting illegally in the Office of the President. Because of his despotic recklessness, he would have caused the dissolution of Parliament without any contingency in place. This doesn't buy the PPP anything much, 7 months early elections. Enough time for them to do what they would have had to do were the election next year May. APNU outsmarted Jagdeo. You still want RK to create mayhem? 1) This now puts the ball in the hands of the PPP. Will they accept this date? 2) If this means Guyana does not have a Govt after March 21, who and how is the government going to function until November? Which country have you ever heard was without a government ? Some of the talking heads of Guyana are clueless. Presently Haiti is without a government. The Government collapsed today. Another despotic country run by despotic people. APNU did not outsmart anyone. All they did is resort back to their despotic bullying mentality. It is reasonable to consider the PNC hooligans because that is how they behave. They have yet to enter civilization. They feel that they can just squat illegally in the OP. How about an interim government? Céant and his 21-member cabinet will remain in office as caretakers until a new prime minister is named by President Jovenel Moïse and a new government takes control after both chambers of parliament approve. Take note what happened in Haiti and what their Law says. The PPP will not extend the time limit to November. (my opinion) It makes no political sense for the PPP to do this. They will let the PNC/AFC regime stew in the juices they created. Their supporters are solidly behind them and as the crisis drags on, the regime loses support from some of their tepid supporters and some of the business class. Also, this does not mean that Granger will call elections in November. We might see election in 2020. There will be a de facto government headed by Granger and his plenary after, though not constitutional. This then will define how other governments and external institutions deal with them and guyana’s Financial and economic affairs. Within the country, any action taken by the de facto government will be subject to review if there is a new government. The regime might want to use the necessity argument, but I think this will not work because they created the conditions. Please note that there will be no disturbances. The PPP does not have political muscle to move into that approach. Demonstrations will be peaceful, despite provocations by the regime’s supporters. These are my opinions. Thanks. I share your views. Back in January the defenders of the PNC were saying that Jagdeo and others were wrong to suggest that the PNC has no plans to have elections by March 21, 2019. Well, with today being the eve of that deadline, it is becoming very clear that those defenders doesn’t have the PNC on their side when seeking to paint a beautiful picture of a very despotic group of people. We know the PNC has no desire to enter civilization so we were very confident in our proclamation. Run Run..the sky is falling in...Run. I don't recall any of you guys worrying this much when the last so called Prez (can't remember the name now..he never did much anyway) shut down the government. Happy Phagwah. Sky can fall after that. Doom and gloomers , they don't blame the power hungry kleptocratic Jagdoe. Blame the coalition gov't. Jim Jones missed some of these IDIOTS when he was recruiting. They have all the necessary characteristics he was looking for!!!!!! Whah wrang wid yuh bai. Ramotar’s government wasn’t shut down. Parliament was. Here we have both Parliament and the government shut down. Come tomorrow, the Coalition is squatting illegally in government. Ramotar’s government never got to that stage. Django bai, the power hungry PPP was never in government illegally. Secondly, the Coalition is behaving power hungry too plus they are illegal. Kascz, you have a very hard if not impossible task trying to teach ABSOLUTE DUNCES. Good luch deh!!! The PPP was a criminal government anyway you look at it, who would want them in again other than their own. Criminality has not been proved in the law courts. Case after case is being dismissed. The latest one being GBTI in the GRDB case. Only the PPP was elected to office by free and fair election. Some people love the Rigging PNC even to death. It is known worldwide that Dumb Numbskulls gravitate to Criminals and Thugs!!! It took you a long time to speak the truth, so true. And I don't know why 53 years after independence the PPP thinks that the ABC nations must solve every single political squabble. This is not a political squabble but illegally holding on to power. Stop trying to trivialize Granger's and the PNC's actions. These geriatric folks are committing a crime and must be held accountable. The other concern is that the armed forces are 99.9% pnc operatives, they will ensure pnc keeps power. So who is the PM candidate? The PPP cannot contest if they haven't even presented their slate. The PPP clearly aren't ready and so need to stop pretending that they are. Apparently you ate too many black vegetables last night so your system is blocked. And you don't think that Jagdeo isn't also a bully. Who told him to waste time with an NCV when elections are due in only one year? And why does he scream about an "illegal" govt when he is yet to present his slate to the public. 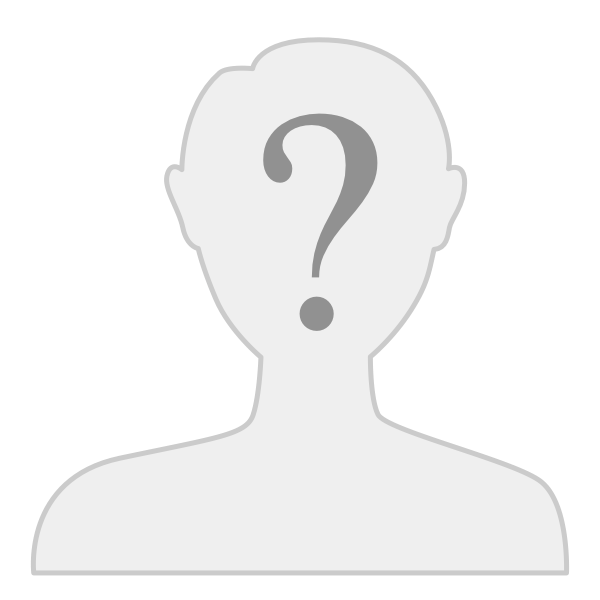 Who will be the PM candidate? How can he scream for elections tomorrow when people don't know who they are voting for? And btw Jagdeo also needs to understand that if tomorrow Granger is the "illegal" president then he is the "illegal" leader of the opposition. So he will have no right to do or say anything aside from having the rights of an individual citizen. He will represent no one and have no input into whatever is done. When Jagdeo understands that he boxed himself into a corner you will see how fast he demands that parliament meets again. Bai, until the PPP are convicted of crimes, the allegations against them are no more than allegations. The Coalition has now had nearly 4 years and they haven’t jailed any PPP member yet. On the other hand, there is no ambiguity about the current Coalition government becoming an illegal entity if they are still squatting illegally in government. So if the Coalition wasn't elected in a free and fair election then neither was the PPP. All the elections since 1992 have been certified as being free and fair and that includes 2015. The PPP needs to tell us why if the 2015 election wasn't fair because of PNC rigging why didn't the PNC also rig the LGEs of 2016 and last year. Just because you don't like the result doesn't mean that it was rigged. In the last 2 national elections the majority of the voters voted AGAINST the PPP and its about time they admit to this! Just as how the allegations that the PNC was guilty of violence between 2004-8 are just allegations. Who were the PNC officials arrested for the violence of 2006 and the killing of Sat Sawh? And yet the PPP pretends that the PNC is to blame for this. THE ILLEGAL ANIMALS WILL RUIN GUYANA AGAIN AND AGAIN!! !